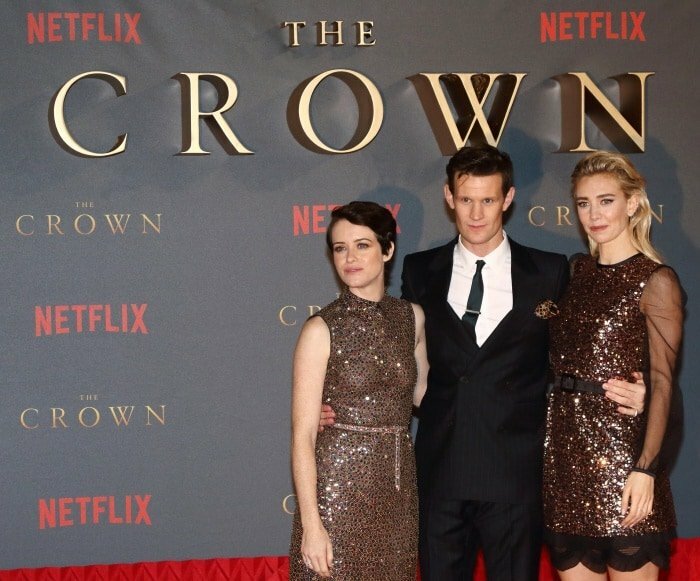 All eyes were on the cast of Netflix’s “The Crown” as they ushered in the upcoming season at the Odeon Leicester Square in London. 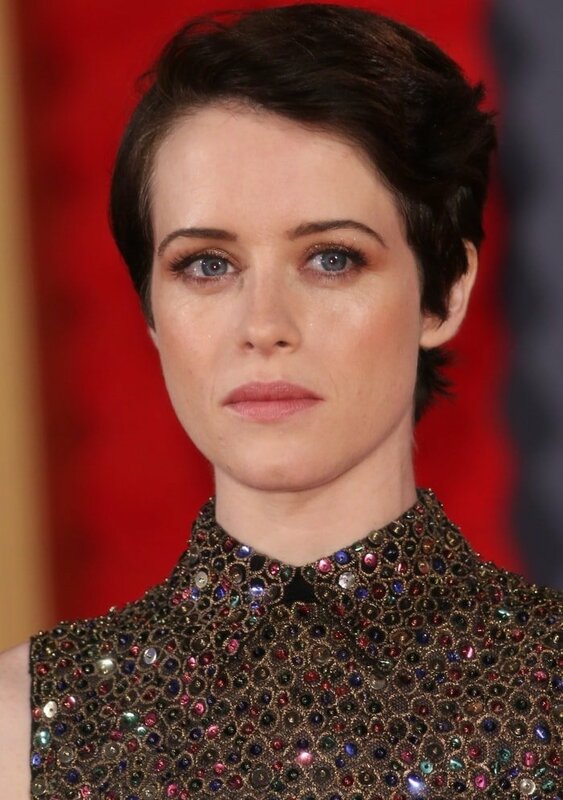 Claire Foy, Matt Smith and Vanessa Kirby stepped out on the red carpet in their glamorous best and were given the royal treatment as they bid adieu to their characters for the last time. 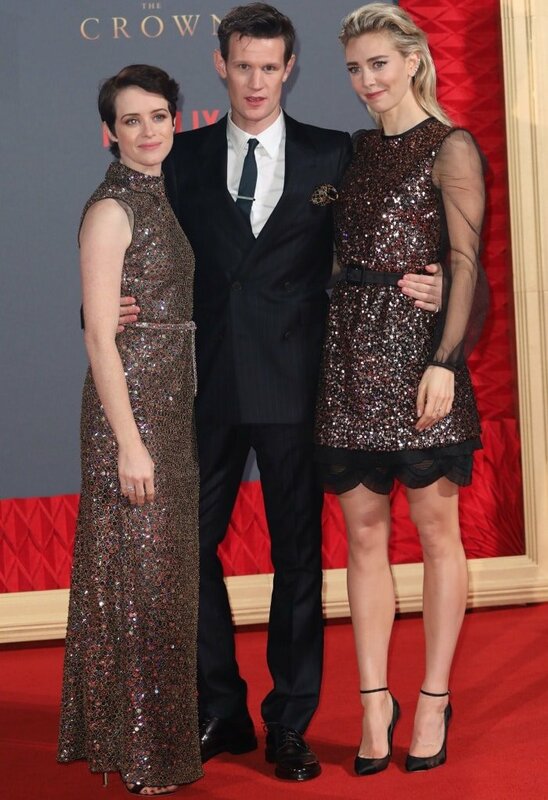 Claire Foy, Matt Smith, and Vanessa Kirby at Netflix’s “The Crown” Season 2 world premiere held at the Odeon Leicester Square in London, England, on November 21, 2017. See their fabulous red carpet looks below. The 33-year-old actress shimmered in an embellished sleeveless dress from Christian Dior’s Spring 2018 collection, which featured a shirt collar, a belted waist, intricate embroidery and multicolored jewel embellishments. Claire styled it with a side-parted pixie cut, minimal makeup, diamond rings and velvet ankle-strap heels. Co-star Matt Smith joined her on the red carpet and looked every bit the dashing gentleman in his Burberry Tailoring suit. He styled it with a dark green tie, a multicolored pocket square and black leather dress shoes. Claire Foy with Matt Smith at Netflix’s “The Crown” Season 2 world premiere held at the Odeon Leicester Square in London, England, on November 21, 2017. Meanwhile, Vanessa made a glittering entrance in an embellished Prada dress from the brand’s Resort 2018 line. It featured sheer long sleeves, a scalloped organza hem, a belted waist and sequin embellishments. She rounded out her look with a slicked-back hairstyle, Messika jewelry, minimal makeup and black mesh pointy-toe pumps from Jimmy Choo. Vanessa Kirby at Netflix’s “The Crown” Season 2 world premiere held at the Odeon Leicester Square in London, England, on November 21, 2017. Finally, Gillian Anderson graced the premiere with her stunning presence in an elegant jumpsuit from Galvan. This Resort 2018 number featured a sleeveless design, a simple silhouette and fringe detailing. She styled it with tousled waves, soft pink lips, dangling earrings, a printed clutch and black sandals. Gillian Anderson at Netflix’s “The Crown” Season 2 world premiere held at the Odeon Leicester Square in London, England, on November 21, 2017.